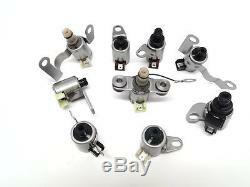 BRAND NEW OEM 9-PIECE SOLENOID MASTER KIT. 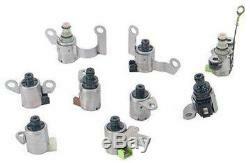 Includes: N88 N89 N90 N91 N92 N93 N281 N282 N283 Solenoids! This will fit all VW, Jaguar, & Freelander Models. (With the JF506E / 09A Transmission). Will Not Fit Ford / Mazda Models. 1.8L, 1.9L Diesel, & 2.8L. 2.5L & 3.0L. These are highly critical items and were very prone to failure. This is a great package for units that have a shift problem or Intermittent Check Engine Codes. Save a bundle here over the cost from a dealership! 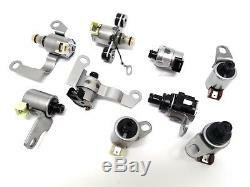 The item "JF506E Solenoid Kit 09A O9A VW Jaguar Land Rover Freelander Original OEM(99405)" is in sale since Monday, January 21, 2013. 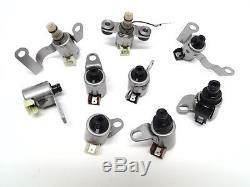 This item is in the category "eBay Motors\Parts & Accessories\Car & Truck Parts\Transmission & Drivetrain\Automatic Transmission & Parts\Automatic Transmission Parts".industries" and is located in Bay Shore, New York.